Passion is the key to understanding the allure and success of the Salvatore Ferragamo brand. It all began with the founder, Ferragamo himself, who was born in 1898 in Bonito,Italy. His passion for shoes and shoemaking was such that he became an apprentice to a shoemaker at age 11 and opened his first shop in Bonito when only 13. Ferragamo really came to prominence, in the U.S., however, when he opened the ‘Hollywood Boot Shop’ in Tinseltown in 1923. From there he soared from one success to another, fitting the stars associated with the burgeoning film industry and becoming, arguably, the first global name in elegant footware. Continuing his legacy, Massimiliano Giornetti was appointed creative director in 2010 after spending over 10 years with the label. Previously overseeing the men’s collection, Giornetti has brought a rich and revitalized understanding to the Salvatore Ferragamo heritage through the collections since assuming his new role. 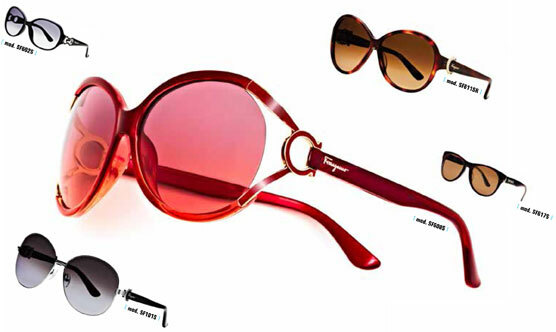 From ready to wear to shoes and accessories, Giornetti has a clear understanding and vision of the Salvatore Ferragamo brand, which is translated into the new Salvatore Ferragamo Eyewear Collection. Giornetti works closely with Giancarla Agnoli, Marchon Italia managing director and senior vice president design, who shares the passion of this iconic fashion house. Agnoli was dissuaded from a career in architecture by her parents and steered instead toward international business economics. “This definitely helped me to widen my horizons,” she allows. “I was fortunate to grow up and study inSwitzerlandand subsequently in theUK, which gave me an international background. In 1981 I started working in the eyewear industry with Marchon and one year later, I was put in charge of developing theU.S.business. This allowed me to become more involved in product design in order to optimize sales. Agnoli works closely with extensive design teams throughout Marchon’s global design centers inItaly,New YorkandTokyo. Together, they work to ensure that all the designer’s and the brand’s aspirations are translated into the current season’s eyewear collection. Marchon became the licensee for the eyewear line of Salvatore Ferragamo quite recently, with the product first seeing distribution in January 2012. The agreement covers the design, distribution, promotion and sale worldwide of sunglasses and prescription eyewear for both men and women. Agnoli works closely with the Ferragamo team and peers to marry all aspects of the creation of Ferragamo eyewear. Her comprehensive abilities have stood her in good stead as she shepherds this iconic brand into reality, with sensual and glamorous shapes, refined materials and warm, deep, and rich colours. The collection is vibrant and detailed, with adornments that are the quintessence of Ferragamo’s heritage. The collection targets men and women, aged 25-plus, who are self-confident, elegant, refined, and appreciate classic craftsmanship. This entry was posted in Portrait of a Designer by Envision Magazine. Bookmark the permalink.